Usury has been part of human history since Christianity came into existence. Over centuries, there have been regulations that were established to restrict misuse of usury. These best practices continue to exist today, but vary across the United States. 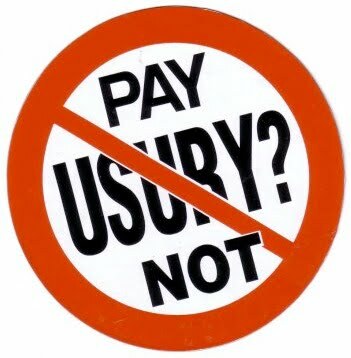 Usury is defined as a practice in which one charges excessive and unreasonable interest. The rates are often too high and therefore usury is considered illegal. Creditors are often unable to pay-off their loans when usury is applied. Often, this has an unfavorable impact on the economy of countries as well. However, there have been times when regulations on usury were bent for economic reason. Back in time, churches had banned usury because it simply meant charging an interest. Any rate charged on borrowed money was considered illegal and against religious teaching. Usury was once known as “Ribbit” which corresponds with the Arabic word “Riba”. Today however, there is no business that can be done without charging an interest. However, it should not be mistaken as a best practice. Each state in the Unites States of America has its own ruling on usury (interest). Each state has a charge that must be used by anyone before it can be called unlawful or usurious. When a lender or business institution charges an unlawful interest, the court will take action against the lender. If a creditor defaults and the case is presented in the court, the lender will be sued for charging usury. This makes it important for financial institutions and lenders to comply with the state regulation on usury. However, there have been times when separate rules were applied to most banks across the US. In 1978 the Supreme Court in US allowed compliance with the National Banking Act of 1863. The act allowed chartered banks to charge high usurious rates as part of best practices. The same was experienced in 1980 due to inflation when the Congress passed the Monetary Control Act. This over-ruled local and state laws on usury. To preserve best practices in governance this regulation has been over-ruled a number of times. The Canadian government permits an interest rate of 60% per annum. To ensure compliance with this best practice, there are written legislatures. Canadian courts are authorized to intervene whenever any ambiguity is reported. When usury is proved with evidence in the court of law, the debtor can face a range of penalties. These could include forfeiting the debt, criminal prosecution and time behind bars or other penalties. Therefore, as a form of risk management best practice avoiding usury is highly recommended. This is especially important for banks and lending agencies.